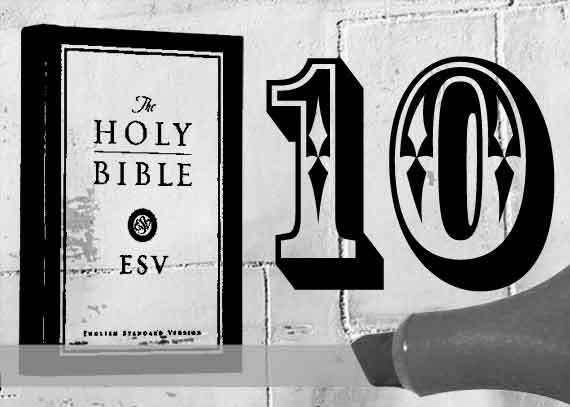 As Amazon has just refreshed its Kindle product line, and as it has been 6 months since the last time I did it, I thought it appropriate to re-visit the top 10 most highlighted Bible verses in the Kindle edition of the ESV. You might be wondering why I’d pick the “top 10” from the ESV. Well, aside from being the elect standard version (joke) it’s free to download and consequently has the most crowd sourced public highlights. For example, the most user highlights of a single verse in the NIV is 325, compared to the ESV with 1075 highlights. John 3:16 was knocked out of first place. Genesis 1:1 was dropped from the top 10. Romans 8:28 was added to the top 10. Does that mean Christians have shrunk back from missions, now believe in evolution, yet are convinced more than ever by the sovereignty of God? Maybe. But you can’t get that from the above data. Nonetheless, I find this an interesting exercise. What do you think of the verses? In your mind are there any surprise appearances, or a startling absence? What would feature in your top 10 if we flipped through your Bible?